Lt. Col. Dr. Mordechai Kedar speaks with Arutz Sheva about the threat of an attack from Lebanon, and what Israel's response could be. On Monday, Hassan Nasrallah, the leader of Lebanese terrorist organization Hezbollah, made a rare appearance on Lebanese TV station Al Manar, where he threatened to close Israeli sea and airports with rocket barrages in "the next war". "We need to open our eyes on Israel," said Nasrallah. "We are completely ready in southern Lebanon despite the presence of our fighters in Syria, and we have the capability to hit every point in Israel." Transportation Minister Yisrael Katz (Likud) responded strongly against Nasrallah, saying, ""If a scenario like that happens, we will destroy Lebanon to its core, and return it to the stone age - and him (Nasrallah) under the stones." In light of this war of words, Arutz Sheva spoke to Lt. Col. Dr. Mordechai Kedar, of the Begin-Saadat Center for Strategic Studies, about Hezbollah's true threat to Israel, and whether a potential escalation is imminent. "There is the possibility of him [Nasrallah] talking big, because of the pressure he is under," Kedar suggested, naming the "large number of casualties" from Hezbollah's fighting in Syria on the side of President Bashar al-Assad as part of that pressure. If Hezbollah were to start action against Israel, that would engage them in two wars, which could potentially cause a large strain to the organization. 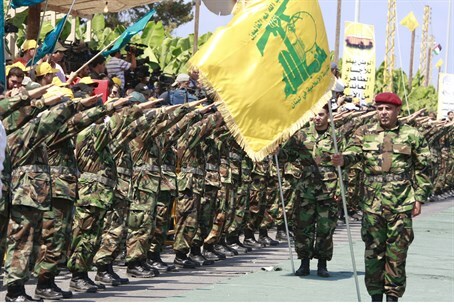 However, Kedar stated plainly that Hezbollah is "definitely a threat." "Hezbollah terrorists entering Israel through tunnels is a possibility we have to take into account. They may drop at any time - day or night - infiltrating kibbutzim, dressed in IDF uniforms, and it would be very hard to stop them if they did manage to smuggle into [Israel]." Indeed, Northern residents have begun to arm themselves, with gun ownership along the Lebanese and Syrian border communities rising as high as 60% in recent weeks. The second major scenario or threat is missiles. Hezbollah's arsenal allegedly has "several thousand missiles, long-range and capable of hitting exact targets." "Hezbollah can cause damage - can cause the closure of Israeli harbors and the airport," Kedar stressed, as Nasrallah himself warned. But if Hezbollah were to take either such actions, Kedar suggested Israel has the power to "destroy Lebanon entirely." By hitting their roads, train tracks, and other infrastructure, Israel holds the ability to "send Lebanon back to the stone age," Kedar said, echoing Minister Katz. In his opinion, Israel should take a preemptive measure and state outright on the world stage that "once Hezbollah tries anything, we devastate them." "Then at least you have some kind of warning and the world will know that Hezbollah is the one responsible."